Chanukah (no matter how you spell it - Hanukah, Hanukkah) is celebrated for eight days, so you have plenty of time to read all these books! 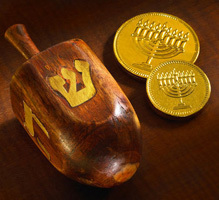 Hanukah starts this year on Sunday, December 6. Let me know if I've missed any mysteries. This is an updated list. 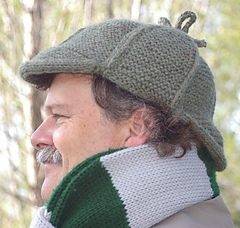 For all my Mystery knitter friends out there, this Deerstalker would make a great holiday gift for a Sherlockian. Here's a link to the pattern. Also comes in a baby-sized pattern. 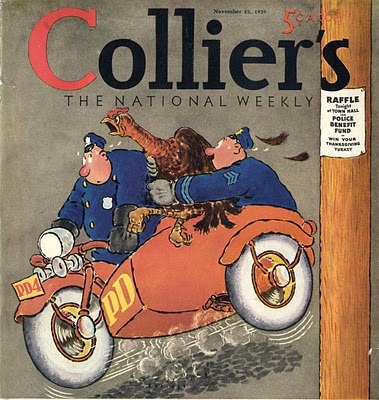 I was reading one of the many email newsletters I get, and I came across a link to this political cartoon and the accompanying Wikipedia entry. 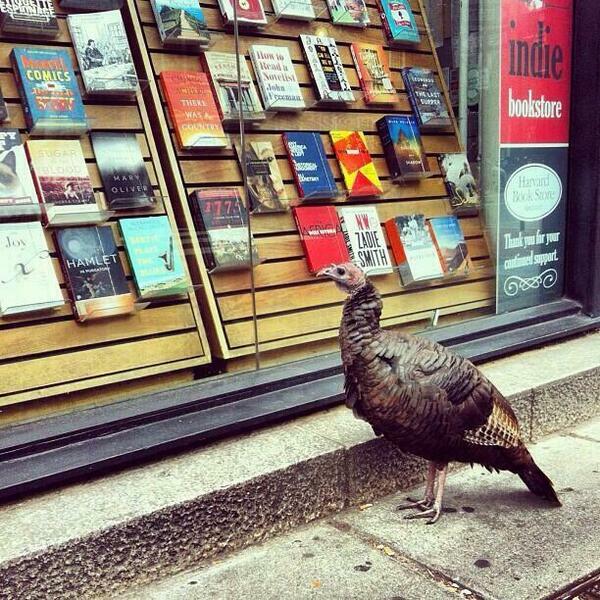 Doesn't it say 'Thanksgiving' to you? 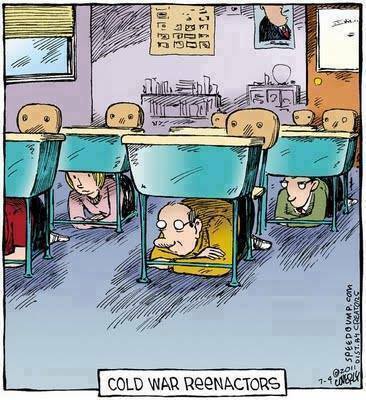 I don't know what the topics will be at your table, but the topic here was the Dreyfus Affair. 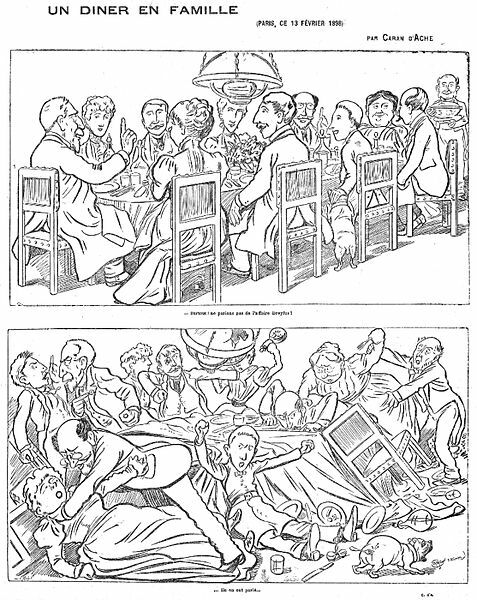 This 'Family Dinner' cartoon by Caran d'Ache, appeared in Le Figaro on February 14, 1898. A family dinner consists of two superimposed drawings, the first representing a family at the dinner table with the text "- Above all! we will not talk about the Dreyfus Affair!" 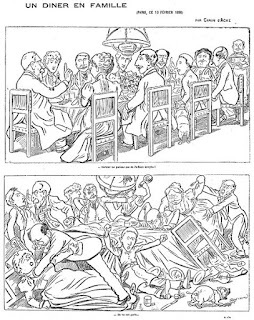 The second frame represents the same family fighting around the table with the text "... They spoke about it ... "
Thinking about The Dreyfus Affair brought to mind Robert Harris's award winning novel An Officer and a Spy. I highly recommend it. It's very timely on many levels. An Officer and a Spy is set in Paris in 1895 and focuses on the Dreyfus Affair. As you might remember from your history lessons, in 1895, Alfred Dreyfus, a young Jewish officer, was convicted of treason, sentenced to life imprisonment on Devil's Island, and stripped of his rank. Harris brings history alive with his extraordinary storytelling, plotting, and deft handling of the political and social climate of the time. I loved how he intertwined historical figures such as Emile Zola and Alfred Dreyfus, with his own well-drawn fictional characters. If you don't remember the Dreyfus Affair, or if you just want to read an excellent novel, add this to your TBR. It's not a 'comfortable' read, but it's compelling and so timely. Do you discuss politics at Thanksgiving? 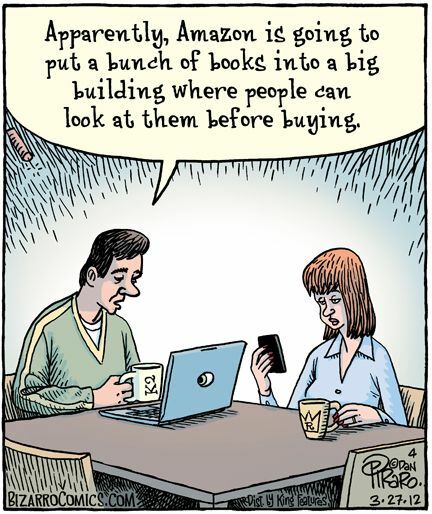 Books? Whatever, hope you have a lively discussion, but one that does not necessarily end in a brawl. Thanksgiving. I have a lot to give thanks for -- my family, my friends, and the wonderful mystery community. We'll be going to my sister's home for a multi-generational Thanksgiving, made bittersweet this year by the absence of my mother who passed away last February. My family is as dysfunctional as most, but we don't stoop to murder! 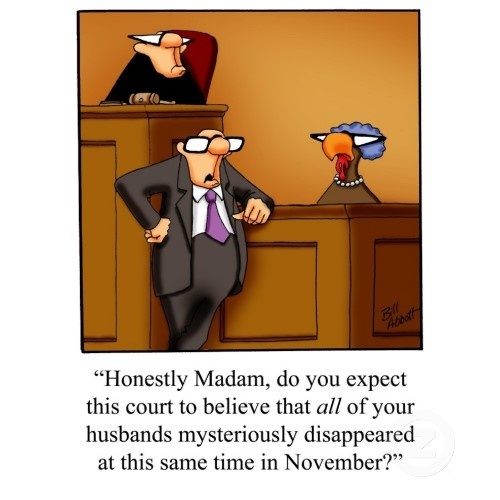 That can't be said for the families in the following updated List of Thanksgiving Mysteries. As the saying goes, "Families are like Fudge, Sweet with a few Nuts thrown in. "As always, please let me know about any titles I've missed. And speaking of Chocolate, I've posted recipes on DyingforChocolate.com for delicious Thanksgiving desserts. Just in case you missed it, I am receiving the 2016 Ellery Queen Award from Mystery Writers of America. To say I was totally surprised is an understatement. I am honored, appreciative, and humbled. 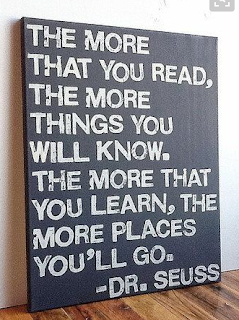 Over the past 40 years, I've devoted myself to 'enriching the lives of mystery readers'. 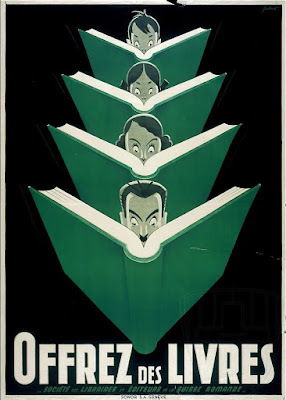 That's the tagline for Mystery Readers International, and I guess for me, too. 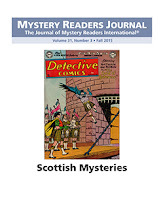 Mystery Readers Journal has been a labor of love, and I thank Kate Derie, my associate editor, and all the 1500 writers, librarians, and readers who have contributed to and supported the Mystery Readers Journal over the past 31 years. I share this award with everyone in the wonderful and supportive mystery community. Here are the lovely roses my husband brought me to celebrate! Next stop: New York, NY, to receive the award at the Edgars. Walter Mosley has been chosen as the 2016 Grand Master by Mystery Writers of America (MWA). MWA's Grand Master Award represents the pinnacle of achievement in mystery writing and was established to acknowledge important contributions to this genre, as well as for a body of work that is both significant and of consistent high quality. Mr. Mosley will receive his award at the 70th Annual Edgar Awards Banquet, which will be held at the Grand Hyatt Hotel in New York City on Thursday, April 28, 2016. The Raven Award recognizes outstanding achievement in the mystery field outside the realm of creative writing. Two Raven Awards will be awarded in 2016: one to Margaret Kinsman and the other to Sisters in Crime. 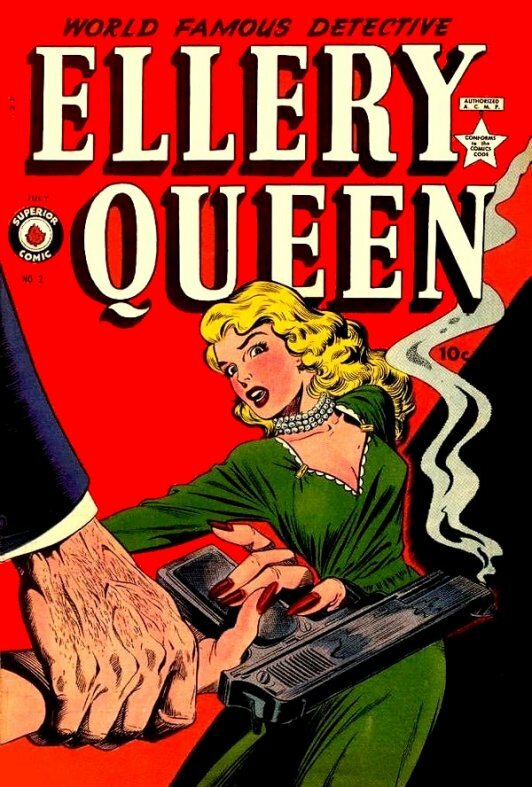 The Ellery Queen Award was established in 1983 to honor “outstanding writing teams and outstanding people in the mystery-publishing industry". This year the Board chose to honor Janet A. Rudolph (yes, that would be me).. So honored and humbled. 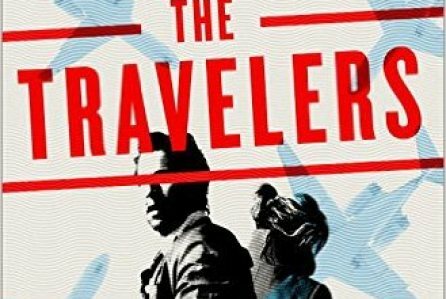 DreamWorks has acquired The Travelers, the latest thriller by NYT best-selling author Chris Pavone. 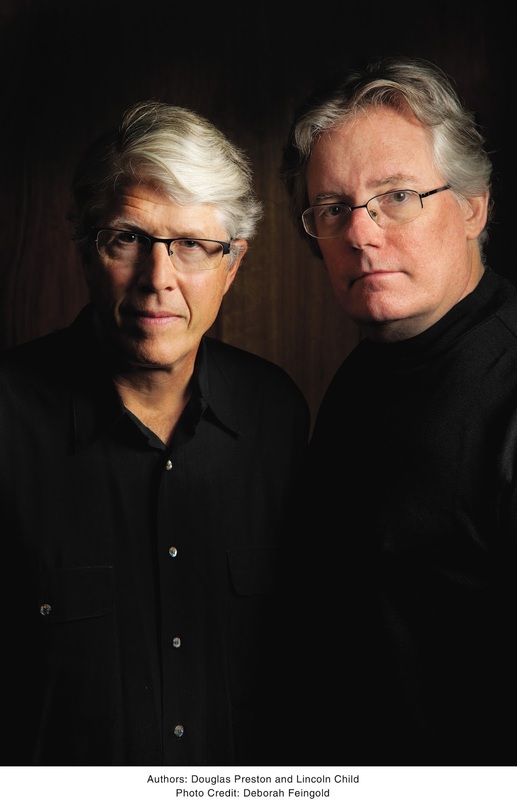 Picture Company partners Andrew Rona and Alex Heineman will produce. 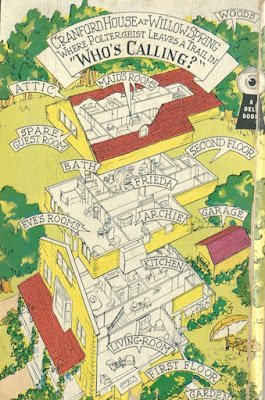 To be published in March, the book is a Hitchcockian thriller with shades of Mr. And Mrs. Smith and North By Northwest. Will Rhodes is a Gotham-based journalist who unknowingly works for a spy agency posing as a luxury travel magazine called Travelers. After meeting a mysterious and beautiful woman on his latest international assignment, Will finds himself drawn into a tangled web of global intrigue, and it becomes clear that the network of deception ensnaring him is part of an immense and deadly conspiracy — and the people closest to him, including his wife, might pose the greatest threat of all. 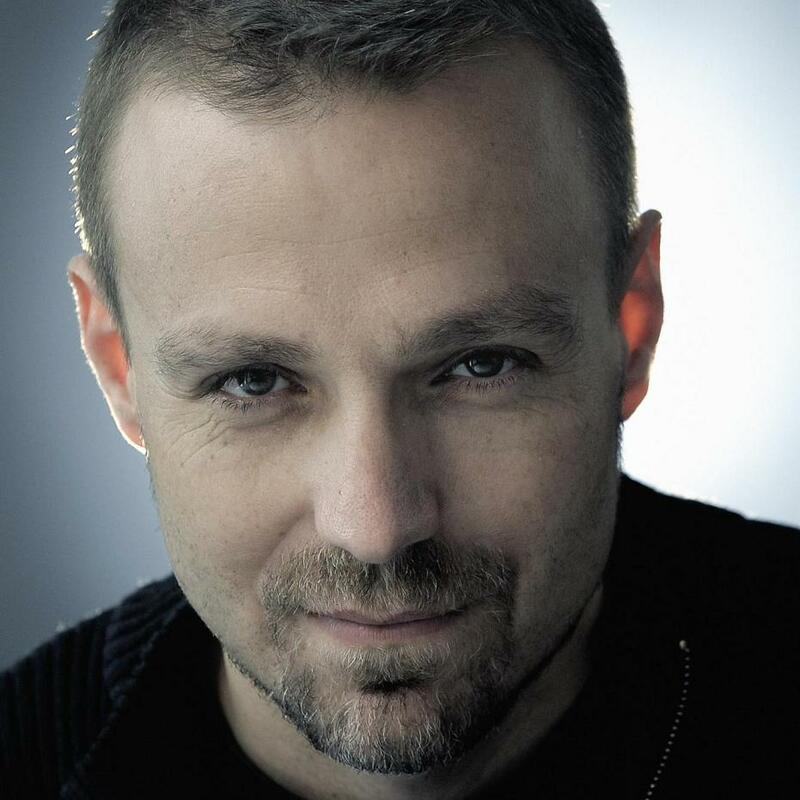 Pavone also wrote bestsellers The Expats and The Accident. Kenneth Branagh has been announced as the director of a remake of Agatha Christie’s Murder on the Orient Express. The British star will also take on the role of the famous Belgian detective, Hercule Poirot, in 20th Century Fox's feature film. 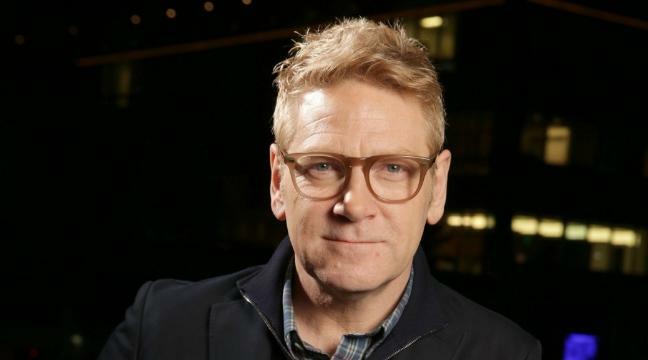 Branagh joins script writer Michael Green and producers Ridley Scott, Simon Kinberg and Mark Gordon to work on this big screen adaptation of the Christie classic. Poirot was played by Albert Finney in the 1974 film version, earning him an Oscar nomination. David Suchet played the character in the British TV series, while John Moffatt starred in the 90s radio version on BBC Radio 4. At the Tony Hillerman Writers Conference in Santa Fe, New Mexico, Wordharvest and Thomas Dunne Books/ Minotaur Books announced that Kevin Wolf's THE HOMEPLACE has won the 2015 Tony Hillerman Prize for best first mystery. Kevin Wolf is a member of Rocky Mountain Fiction Writers and Crested Butte Writers. He hones his work at regular meetings of the Southwest Plaza Critique group. He lives in Littleton, Colorado with his wife of forty years and their two beagles. 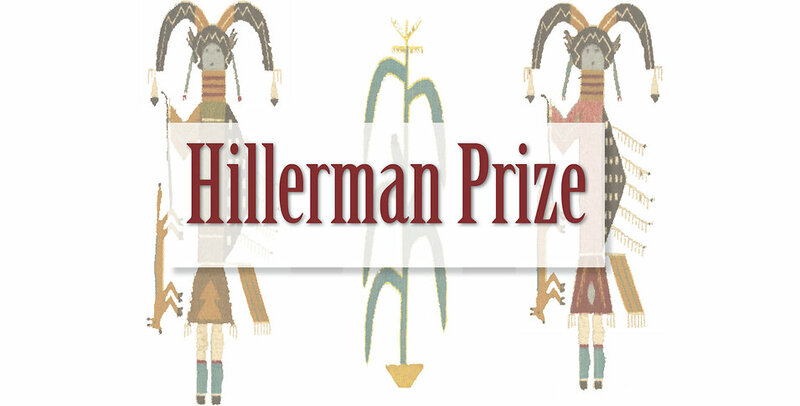 The Tony Hillerman Prize is awarded annually to the best debut crime fiction set in the Southwest. 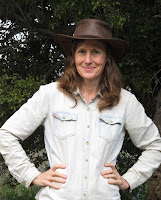 Today I welcome South African mystery author, Sally Andrew. Sally lives in a mud-brick house on a nature reserve in the Klein Karoo, South Africa, with her partner, artist Bowen Boshier, and other wildlife (including a giant eland and a secretive leopard). She also spends time in the wilderness of southern Africa and the seaside suburb of Muizenberg. She has a Masters in Adult Education (University of Cape Town). For some decades she was a social and environmental activist, then the manager of Bowen’s art business, before she settled down to write full-time. 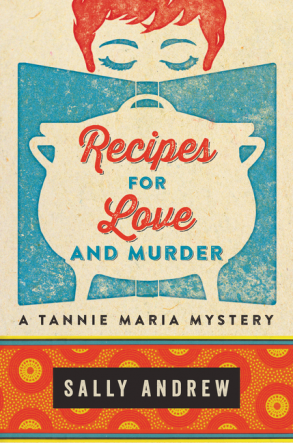 Recipes of Love and Murder (a Tannie Maria Mystery) is her first novel. It is being published in at least twelve languages, across five continents. I enjoy mystery series with the same protagonist. I get to know and love the character. I often wonder about the link between the author and their main character. 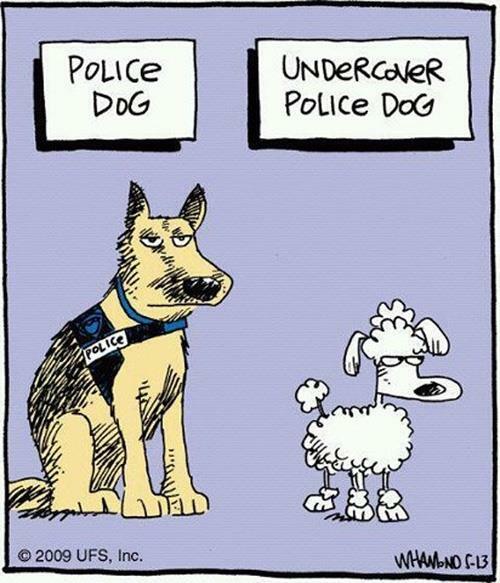 So I thought it might be fun to explore the similarities, differences and relationship between myself and the protaganist in my series of Tannie Maria mysteries. Tannie Maria is a short, plump, half-Afrikaans auntie who is obsessed with food and is a brilliant cook. I am a tall, skinny, English-speaking woman who – until researching this book – has not read a recipe book in her life. Don’t get me wrong, I can throw together something yummy (and will do so if you come and visit) but I’m not a cook in Tannie Maria’s league, and I got expert help to ensure that the recipes I included in my book were moan-out-loud delicious. I do appreciate the emotional power of food, and the ritual and magic of preparing meals (see video ‘Food as Magic’ below). The biggest thing Maria and I have in common is that we live in the Klein Karoo, South Africa. She stays just outside the small town of Ladismith, and I live on a nature reserve a little further out. We both love the veld, the gwarrie trees and the birds that surround us. But her expression of her love is more down to earth, and simple than mine. Whereas I might celebrate the long-awaited Karoo rain by throwing off my clothes and going to dance on top of the hill, singing ‘Halleluja', Tannie Maria would say, ‘That’s nice,’ and celebrate with a marmalade-and-bacon sandwich. Tannie Maria is the agony aunt for the local Gazette’s Love Advice and Recipe Column. People write in with their love problems – she gives them some advice, but the main remedy she offers is a recipe that will fix things. In her own life, she is lonely, and struggles to find love (after an abusive relationship with her late husband). She meets a tall detective with a chestnut moustache, (my partner of 15 years is tall with some chestnut in his beard) and the journey to open her heart begins. My own journey to open my heart is a life-long one. Tannie Maria, like me, has a strong interest in justice (which is what gets her on the trail of the murderer). For many decades, I was a social and environmental activist. However, Maria is driven more by the personal than the political. And she is less judgemental, and more forgiving, than I am. I think I invented Tannie Maria to keep me grounded, laughing (she is funny) and teach me how to love – and maybe how to cook. One of the strange things about our relationship is that I know all about her, and she knows nothing about me. I think I’ll keep it that way. If I see her shopping at the Spar, in Ladismith, I may watch from afar, but I won’t go and introduce myself. This Bizarro Comic is from 2012. Now it's real! I spend a lot of time making lists. O.K., I admit it, I'm a bit OCD...but I like to organize. 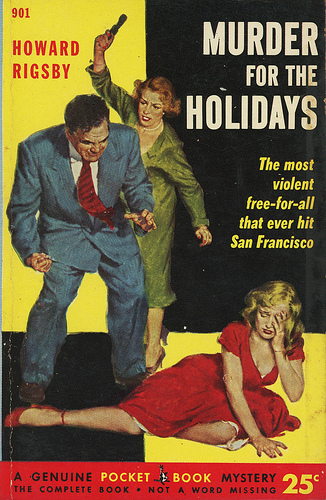 So I decided to put all my Holiday Crime Fiction Lists in one place on the Mystery Readers International website. If you want to find a book that takes place during Thanksgiving, Mother's Day, Memorial Day, or Christmas, or 22 other holidays, you'll want to bookmark this page. Know some titles that should be there but aren't? Let me know, and I'll add them. Think another holiday should be represented? Drop me a note or comment below, and I'll put a list together. 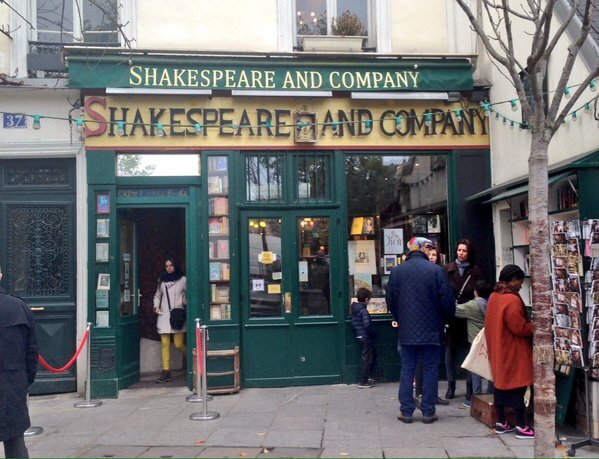 The legendary Shakespeare and Company bookshop in Paris sheltered customers during last night's terrorist attacks. 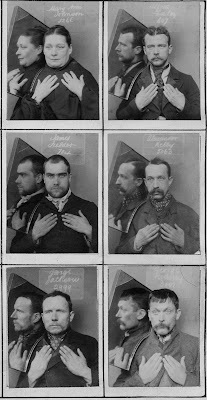 Almost as soon as photography was invented, police and prison authorities began photographing prisoners and suspects to aid in their identification. 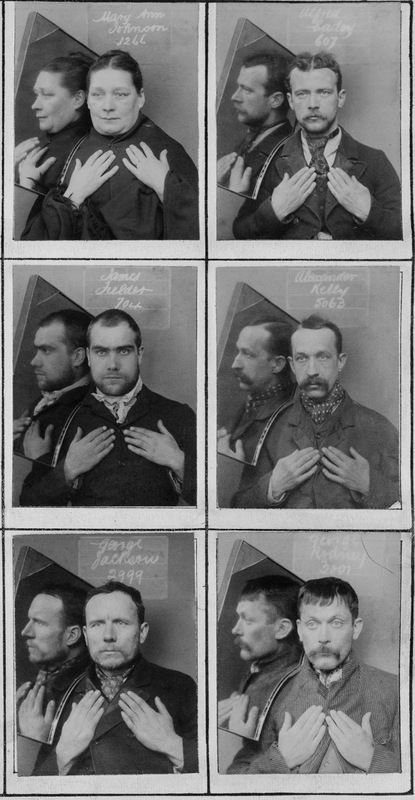 The pictures became known as "mugshots," after the slang word for face. These photographs were taken in 1880 and 1890 at Wormwood Scrubs Prison in West London. They are unusual in that, through the clever use of a mirror, the full face and profile views appear in the same shot. The prisoners also showed their hands, so that any distinguishing features such as missing fingers or tattoos could be recorded. Both Men and Women are featured. With genuine regret, we announce that circumstances beyond our control, including diminished attendance, have made LIMCon Chicago 2016 financially unsustainable. And so, with a heavy heart, we must cancel the 2016 conference and future conferences. We want to thank you for your support of the 16 Love is Murder conferences we produced. Thanks to you and our hundreds of attendees over the past 16 cons, we’ve had a bloody good time! I love to read mysteries that reflect regions and holidays, so I'm reposting about Veterans Day with a few additions. Julia Spencer-Fleming's One Was a Soldier, Jacqueline Winspear and Charles Todd's mystery series are at the top of my list of Veterans Day Mysteries. There's also the Joe Sandilands series by Barbara Cleverly. And Bulldog Drummond is a WWI veteran in the Sapper/H.C. 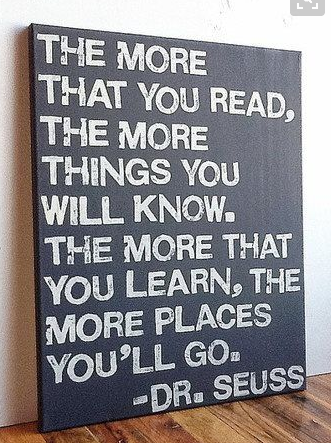 McNeile books. Add to that Walter Mosley's WWII Vet Easy Rawlins. 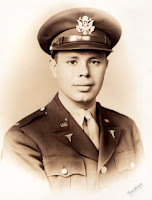 Don't miss Marcia Talley's All Things Undying in which Hannah Ives helps to locate the grave of a WWII serviceman. James Lee Burke is another great mystery author whose Cajun detective Dave Robicheaux is a Vietnam Veteran. 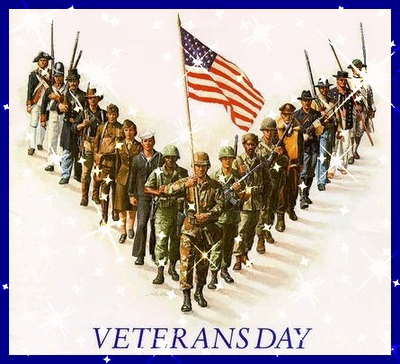 Read a Veterans Day mystery today and remember the men and women who have served and are serving now. Thank you. 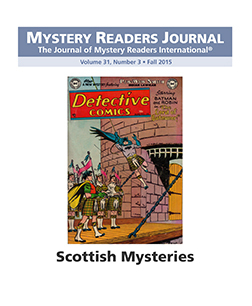 The latest issue of the Mystery Readers Journal: Scottish Mysteries (Volume 31:3) is now available as a PDF. Hardcopies are on the way and will be available in 10 days. Buy this issue as hard copy. Buy this issue as a PDF. If you're a subscriber, you will receive details on downloading this issue. Harcopy subscribers will receive this issue within 10 days. Thanks to all who contributed to this great issue. Special thanks to Kate Derie, associate editor, for all her help. It's been awhile since I've posted for Mapback Monday. Today I'm sharing a Dell Mapback cover and map from 1942. Thanks to Bill Gottfried who inadvertently purchased two copies of Helen McCloy's Who's Calling? at Bouchercon. I'm now the lucky owner of the extra copy! FYI: No severed ears appear in the story. Ah..the problems with covers. I really like the Helen McCloy books. 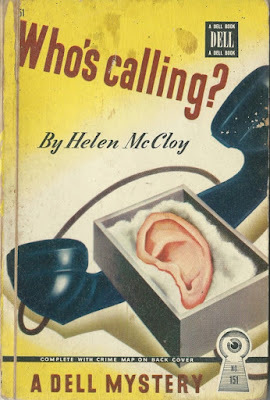 Helen McCloy (June 6, 1904 – December 1, 1994), is the pseudonym of Helen Clarkson. She was an American mystery writer, whose series character Dr. Basil Willing debuted in Dance of Death (1938). Willing believes, that "every criminal leaves psychic fingerprints, and he can't wear gloves to hide them." He appeared in 13 of McCloy's novels and in several of her short stories. 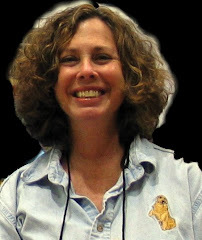 McCloy often used the theme of doppelganger, but in the end of the story she showed a psychological or realistic explanation for the seemingly supernatural events. Read more about Who's Calling on The Passing Tramp. Labels: Dell Map Backs, Helen McCloy, Map Backs, Mapback Monday, The Passing Tramp, Who's Calling? #1 New York Times bestselling authors Doug Preston and Lincoln Child return with their next highly anticipated Agent Pendergast novel, CRIMSON SHORE (Grand Central Publishing; Hardcover; November 10, 2015). In CRIMSON SHORE, Agent Pendergast and his modern Sherlock Holmes persona, take on a sinister murder mystery in the quaint sea-side town of Exmouth, Massachusetts, and uncover mysterious historical symbols in the nearby salt marshes… the place where, legend has it, the real witches of Salem took refuge after fleeing the 1692 witch hunts. When we began discussing the subject matter for CRIMSON SHORE, we knew that we wanted a couple of things. First, we wanted it to be a standalone thriller, rather than part of, say, trilogies like our Diogenes Trilogy and Helen Trilogy (also Pendergast titles). Second, we wanted to situate the novel in a place where Pendergast would be a complete fish out of water. Most Pendergast novels are set in locations that he knows well—New York City, Louisiana—and it’s always fun to see him trying to further his investigations in a spot that he’s not only unfamiliar with, but where he sticks out like a sore thumb. We played this card in our earlier Pendergast novels, STILL LIFE WITH CROWS and WHITE FIRE, to good effect. And so we decided to set this book in the fictitious seacoast fishing town of Exmouth, Massachusetts, north of Boston and Cape Ann. There were several advantages to this. Both Doug and I know the area well, which is always a boon when trying to create a credible, colorful locale. Also, it allowed us to tip our literary hats to H. P. Lovecraft and his own uber-creepy town of Innsmouth—the setting of one of our favorite stories by our favorite horror writer. Finally, in situating Exmouth not far from Salem, it allowed us to bring in a gothic subplot involving the Witch Trials of the late seventeenth century: a subplot we found so interesting that at times it almost threatened to take over the novel! All in all, writing CRIMSON SHORE was a really enjoyable experience. We were able to add some iconic Pendergastian moments: one, for example, where he teaches the chef at the inn where he’s staying (Exmouth has some really execrable restaurants) how to cook a dish that the FBI agent can tolerate. We include all the Pendergastian trappings readers have come to expect, such as a ‘memory crossing’ he undertakes to help him solve the mystery at a time when all avenues of investigation seem to be dead ends. And we were also able to give new depth to our main characters in this story, Constance Greene as well as Pendergast himself. Exmouth proved an ideal ‘fish out of water’ location in which to place Pendergast and situate CRIMSON SHORE. As for whether we succeeded in making it a standalone novel—well, you’ll just have to read it for yourself and see! 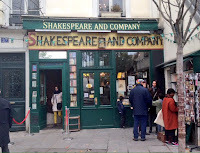 Mystery Lovers Bookshop founders Mary Alice Gorman and Richard Goldman took the occasion of the store 's Halloween 2015 celebration and 25th Birthday to announce their retirement adventure: a new website www.revuzeit.com. This website is a record of what they are reading, seeing, sharing, eating, and they will include much of their opinion too. It is a new career without any deadlines but there will be additions all the time. Most books featured are new but some might be older pubs. If you have a book for review, please write to maryalice@revuzeit.com for consideration. 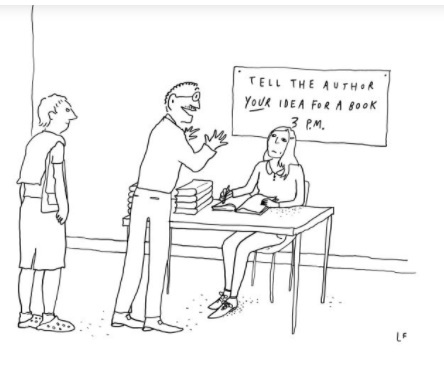 They read ebook ARCs, Paper ARCs, Hardcopy books, audio on trips and still refuse manuscripts. All books and audios are donated to the Carnegie Library of Pittsburgh where Mary Alice is a Trustee. 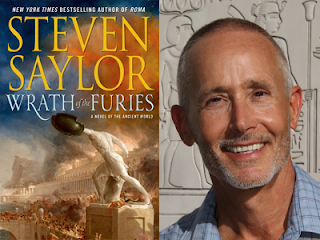 Wednesday, November 11, 2015, 7 p.m.
Join Mystery Readers NorCal for an evening with award winning historical mystery author Steven Saylor. Steven Saylor is the author of the long running Roma Sub Rosa Series featuring Gordianus the Finder, as well as the NYT bestselling novel, Roma, and its follow-up, Empire. He has appeared as an on-air expert on Roman history and life on The History Channel. Gordianus the Finder returns in the fifteenth installment of Steven's Novels of Ancient Rome, Wrath of the Furies: A Novel of the Ancient World. Read Steven Saylor's essay "When in Rome...Eat as the Romans Ate" in Mystery Readers Journal: Culinary Crime I (Volume 31:1). You won't want to miss this. 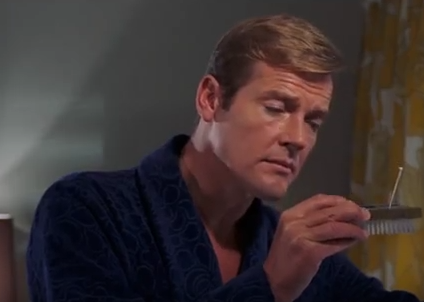 Every James Bond Gadget. Ever. 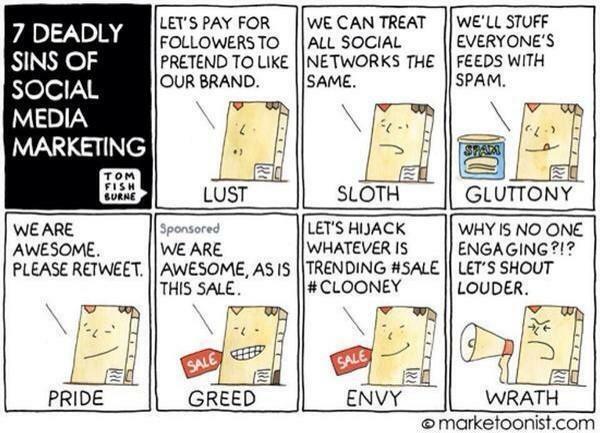 What’s worth sharing with readers? 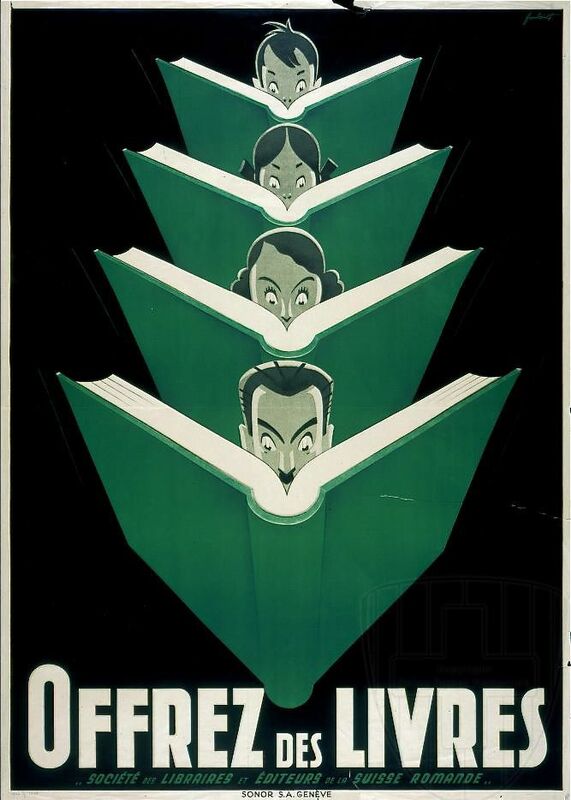 The power of a novel lies in its ability to create emotion in readers. Whether those emotions are positive or negative isn’t really the issue. 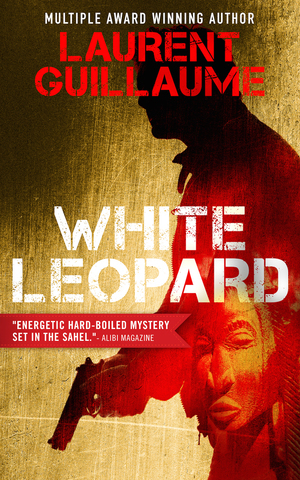 I don’t take kid gloves with readers in White Leopard when depicting Solo’s fierce feelings and the violence he uses and is subjected to. The main character’s raw sexuality says much about how far he has drifted. I didn’t want to sweeten things up. This violence is part of the novel, it’s something I experienced for years, and now that it has calmed a little in me, I wanted to recount it. Solo is perfect for that. He is both a factor of chaos—wreaking havoc wherever he goes—and someone who is very sensitive and emotional. He’s a bit my Madame Bovary. One day, a great writer (Jean-Noël Pancrazi) gave me a wonderful piece of advice. 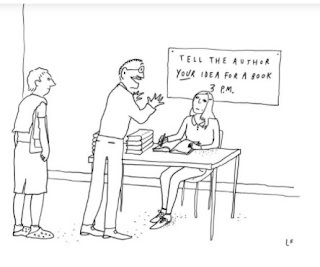 I had asked him if he thought my writing was too wordy and if I should refine my style. He said he didn’t think in those terms. He felt I was holding out, that I wasn’t entirely letting go. “Whether your style is wordy or sparse isn’t really important. It has to be what you really are. So let yourself go. 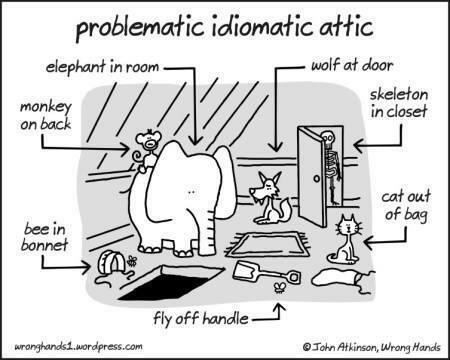 If there are too many adverbs and too many adjectives, it doesn’t matter. If it is too violent and raw, it doesn’t matter.” So I let myself go in White Leopard. It’s violent and harsh, but it captures the emotions and reality of Mali. Jean-Noël was right. There is no room for self-censorship. 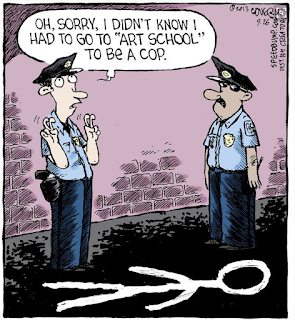 Emotion is what kept me going all those years in the police force. 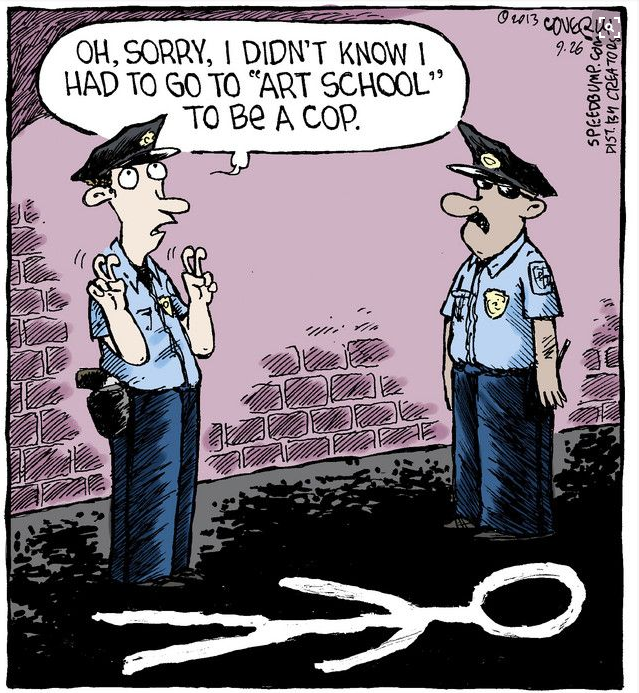 Cops face life’s seedier sides all the time, but sometimes you experience moments of rare intensity, with laughter or tears. 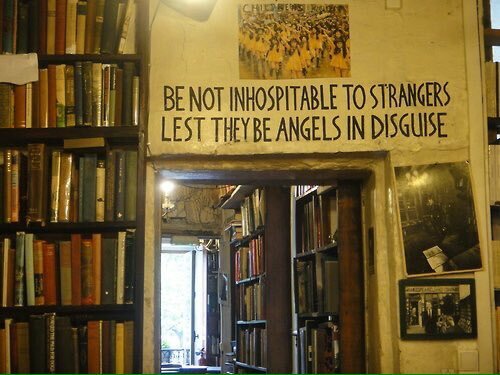 That is what is worth sharing with readers in novels: humanity. Here's a fun photo from a 1949 newspaper. 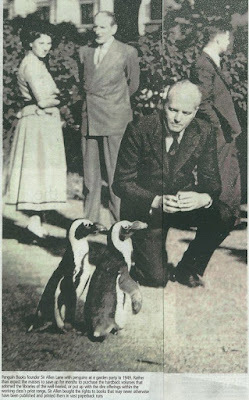 This is Sir Allen Lane, founder of Penguin Books, at a garden party replete with penguins.